And you don't have long to wait. 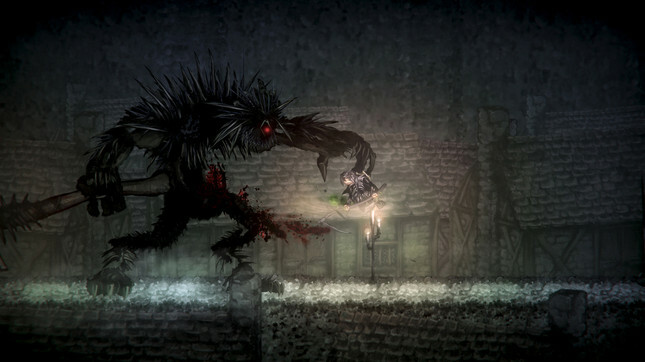 Punishing 2D RPG platformer, Salt and Sanctuary is coming to the Nintendo Switch in just a matter of weeks. Developer Ska Studios confirmed the port today, noting that the game would be available from August 2 on Nintendo's eShop. “The two of us wanted to create a Soulslike game that we wanted to play, and finding that so many others who wanted it too warmed our dark little hearts,” said Michelle and James Silva, co-creators at Ska Studios. The port comes with the assistance of Blitworks, which has already brought titles like N++ and Don't Starve to Nintendo's hybrid portable. The Switch version will also include local co-op and New Game+, in addition to Challenge runs and gameplay modifiers like permadeath and no-blocking. Ska Studios also hinted at a retail version in the works, with further details yet to come.